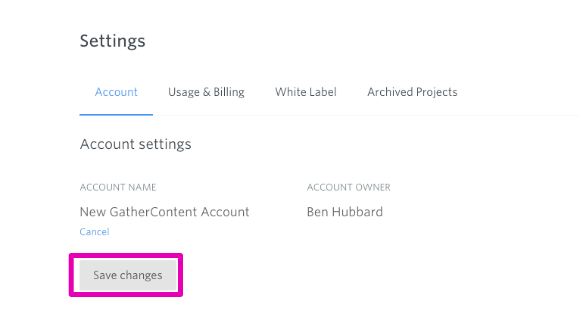 Here's how you can update the Account Name you chose when you created your account. You can update the Account Name you chose when you created your account. 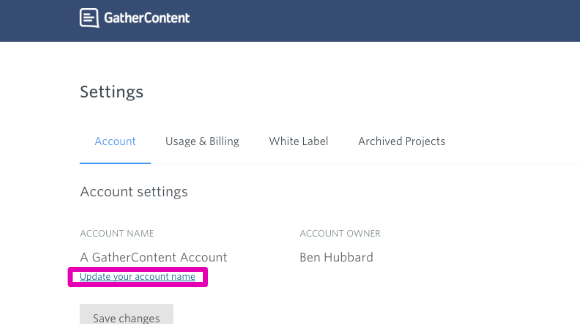 Updating your Account Name will ensure all GatherContent invites and notifications will have the updated Account Name. Click on 'Update your account name' link and enter the new account name. Tip: You can also update your account sub-domain. 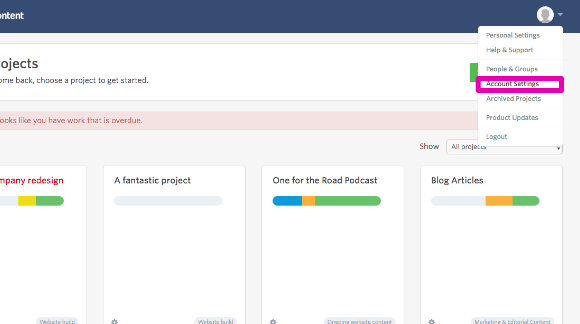 This can only be done manually by the GatherContent team. Please get in touch with us and we'll update this for you. Please note that you can only chose a sub-domain that's still available and not being used by another account.